WOW! 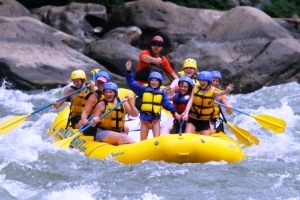 Factor Family Adventure Vacations Naturally Loaded with Fun, Energy & Memory Making Value. Here’s the scoop. Vacations with a natural WOW! Factor deliver not-to-be-missed moments and one-of-a-kind thrills often seen on the Discovery Channel. Things like surfing a river rapid; hearing the roar of the incoming tide; watching a geyser explode; creating echoes from a mountaintop. 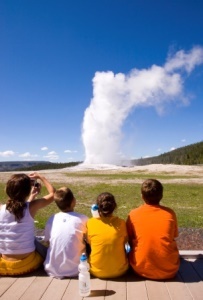 I know of dozens of amazing family vacation ideas guaranteed to amaze, thrill, and yield unique family vacation memories. My list includes places where Mother Nature will impress even the most jaded adults and generate a WOW! from the kids. I am sharing a few examples on a short list below. For more ideas browse our Family Adventures lifestyle folder and see just exactly who delivers adventures with a natural WOW! Factor? Bay of Fundy & Hopewell Rocks, New Brunswick – Step to on the ocean floor and hear the tidal roar. New Brunswick is naturally beautiful and the perfect “au natural” vacation for families. Once you enter the gates of Bay of Fundy National Park you may never want to leave. The programs offered by the rangers are excellent. 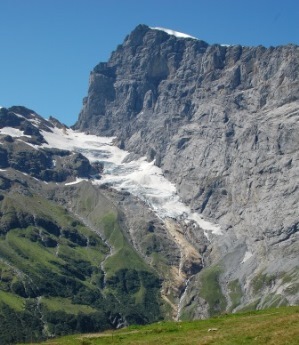 The trails in the park are varied and well maintained. 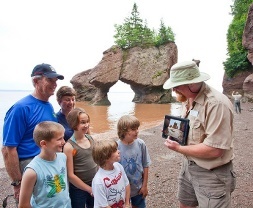 Not-to-be- missed are the tidal pools and the ranger led shoreline ecology walks and the nightly fireside talks.Hopewell Rocks Bay of Fundy Family with Ranger WOW! Factor. Not far from the park is world famous Hopewell Rocks Interpretive Center with an amazing story to show and tell about the power of the sea and its connection to all of us. In addition to colorful information panels, large visual and touchable displays that children enjoy, short video and audio clips it is actually possible to walk on the ocean floor. Bonus points: In Alma at the doorstep of Fundy National Park is an outstanding outfitter – FreshAir Adventure – that provides awesome day adventures along the coastal area. Kayak with them for an extra WOW. Make it happen. For kayaking go to FreshAir Adventures and for the big picture go to Bay of Fundy Tourism. Content researched and posted by Nancy Nelson-Duac; Editor at FTF; images courtesy of ACE Adventure, ALA Adventures, and Hopewell Rocks NB. Copyright 2013. All great places! And great for kids to see too. Went to Bay of Fundy last year, it’s amazing.